A fun gin themed personalised friend birthday card hand finished with a gold glitter heart. 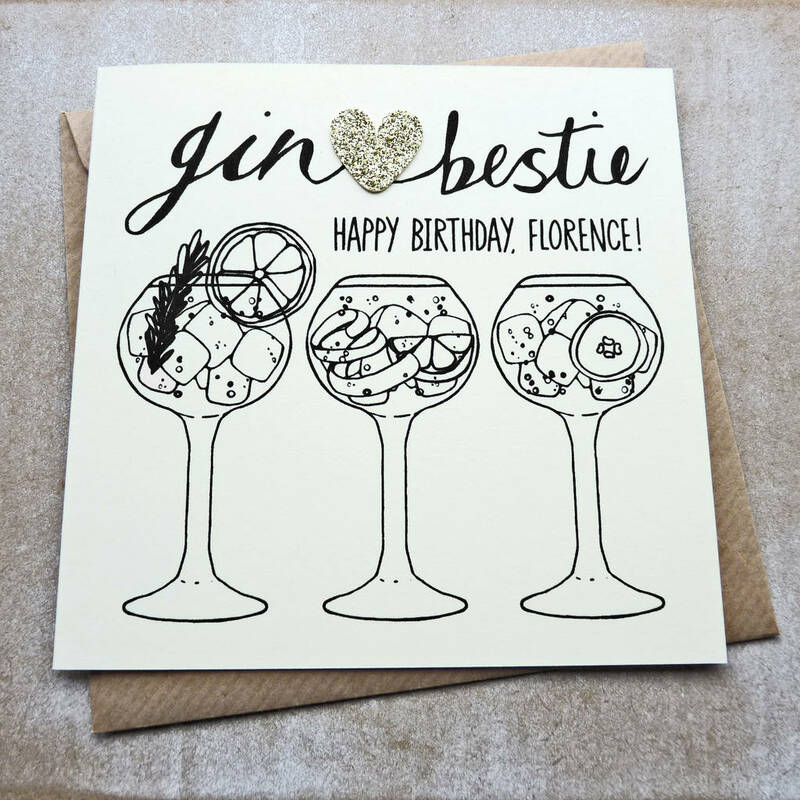 Whether you're lemon, lime, cucumber or grapefruit and rosemary gin and tonic kind of gals and guys, cheers to your absolute favourite best friend and fellow gin lover with this bestie birthday card. 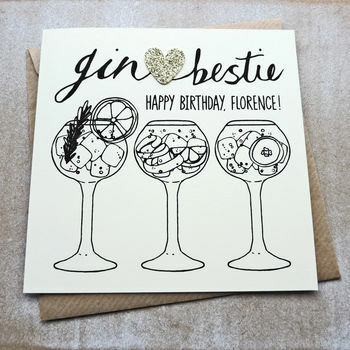 The front of this card features a black line gin and tonic illustration of three glasses all topped with a different garnish, and the words "Gin Bestie" hand finished with a gold glitter fabric heart. Personalise with your bestie's name to finish, which will read "Happy Birthday, (Chosen Name For Personalisation)!" All text is black. Be sure to check the card size at the bottom of this description. This card has been left blank on the inside for your own message. Designed and illustrated right here at Darcey HQ and finished with a hand cut gold glitter heart. The card will come in a protective cellophane pocket and will be popped in the post in a board backed envelope. 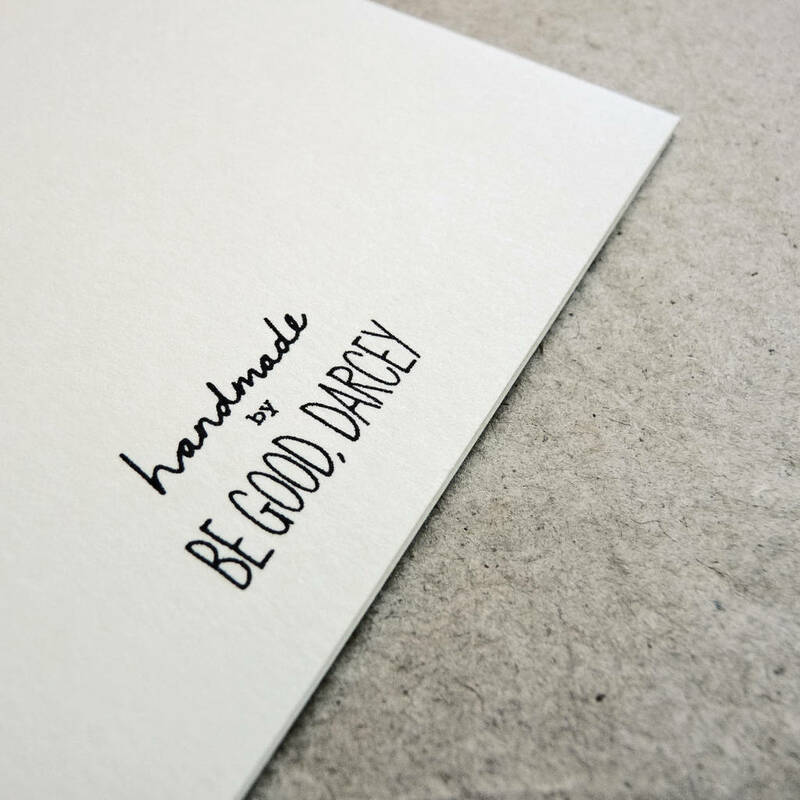 This product is dispatched to you by Be Good, Darcey.